BOSTON — The Baker-Polito Administration today announced that Puerto Rico has accepted an offer from the Massachusetts Emergency Management Agency (MEMA) to deploy a 10-person emergency management team from Massachusetts to assist in Puerto Rico. The request for assistance from Puerto Rico came through the Emergency Management Assistance Compact (EMAC), which is the national emergency management mutual aid system that facilitates state-to-state disaster assistance. While deployed in Puerto Rico, the team is expected to work with the Central Island Coordination Task Force, which coordinates the delivery of goods and services across the island. The team includes three MEMA employees and seven members of the Northwest Massachusetts Incident Management Team (NWMIMT). The team is traveling to Puerto Rico on October 16th, and is expected to be deployed for 14 days. MEMA continues to monitor the EMAC system and look for opportunities to offer personnel, equipment and resources to Puerto Rico. 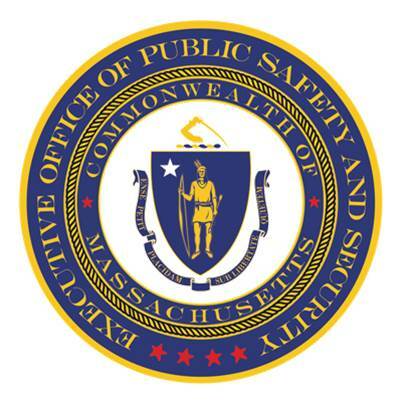 On October 4th, the Baker-Polito Administration announced the deployment of local and state law enforcement officers to Puerto Rico for hurricane Response and Recovery. The first 24 officers arrived in Puerto Rico on October 7th, and the remaining officers will deploy in two-week rotations over the next month. While in Puerto Rico, the law enforcement officers will assist with traffic and security duties. On September 29th, the Baker-Polito Administration announced the mobilization of the Massachusetts National Guard to Puerto Rico for hurricane response and recovery. The National Guard’s Joint Site Incident Satellite Communications Capability (JISCC) team will support satellite-based data and mobile communications on the island, where communication lines have been severely damaged. Governor Baker, Mayor Martin J. Walsh, Representative Jeffrey Sánchez and members of the Boston Foundation also announced the Massachusetts United for Puerto Rico Fund to support and respond to the Commonwealth of Puerto Rico in the wake of Hurricanes Maria and Irma. The fund has been formed in partnership with the Latino Legacy fund and in cooperation with the Alliance for Puerto Rico. Funds raised will be distributed for reconstruction and relief on the island of Puerto Rico and to support self-evacuees arriving in Massachusetts from Puerto Rico for temporary or permanent residence. The Baker-Polito Administration has formed a state task force that is working to ensure that the state is prepared to support the Commonwealth of Puerto Rico for individuals who choose to self-evacuate the island and seek temporary or permanent residence in Massachusetts. State officials remain in communication with the Government of Puerto Rico and federal authorities and are ready and willing to offer emergency assistance, such as personnel and equipment, at the request of Puerto Rico.